Meeting the people there, who were overwhelmingly sweet and friendly, I felt as though I was visiting the past. 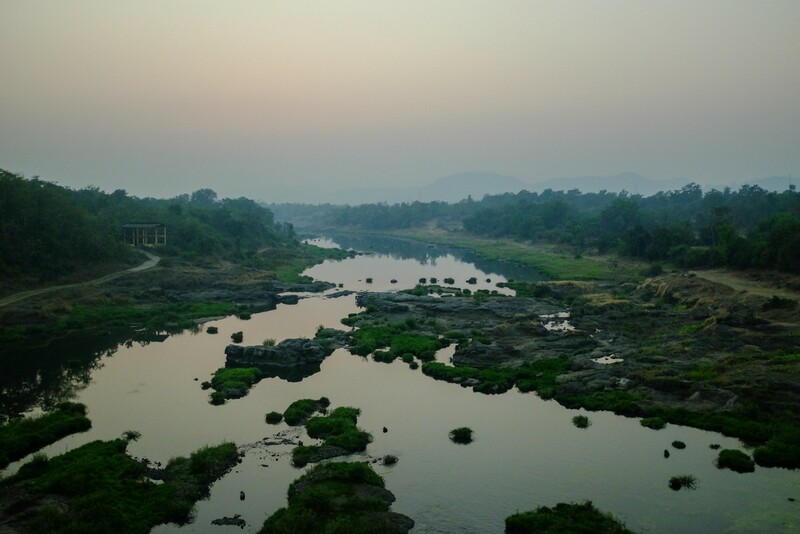 I saw: people hand-forging iron farming tools, using turn-of-the-century cotton gins, shoe-shiners set up on piles of dirt beside the road, straight-razor barber shops, early morning ice block delivery... I visited school classrooms with no chairs, and spoke to students of all ages who uniformly still believe arranged marriage is far superior to this new-fangled thing called “love marriage.” Tradition is very important in India, and doubly so in rural India. As for the animals? Well India is a harsh place for everyone. And, like animals elsewhere in the world, their existence, and their suffering, is largely ignored. Whether it's the “revered” cows, the stray dogs, or the feral pigs, they all have to fend for themselves — which means trying to avoid getting hit by cars, and eating garbage to get by. Sure, they don’t have to worry about someone killing them, but that's about the extent of the mercy shown them. The dogs are all unneutered, mostly malnourished, and wandering the streets with untreated wounds and chronic health problems. Bulls, buffalo, and horses are used as beast of burden, pulling plows, carts, or carriages full of tourists. Cows and buffalo are used for dairy, enduring miserable lives in deplorable conditions, as I documented in this video. Don’t get me wrong, it was a nice break from the rest of the country — and from my time in SE Asia before that, where animals are slaughtered in full view, their bodies strung up and for sale on the sidewalks, in the markets, and at the restaurants. But one of the hardest parts of traveling as an animal lover is the heartbreak of seeing so many suffering animals, and not being able to help them. In that regard, Palitana was not much different. Jain philosophy teaches ahimsa, or nonviolence toward all living creatures. Jain monks are said to brush tiny insects out of the way before taking each step. I even remember hearing about this practice as a teenager, when I first began exploring ideas of nonviolence and pacifism. However, for a variety of reasons (outdated reasons in my opinion), Jainism still allows dairy consumption. Based on this technicality, the cows, buffalo, and goats in Palitana are all still being exploited for their milk. This process results in inevitable suffering, due to economic constraints as well as biology. In order for the female cows, goats, and buffalo to produce milk, they must first have a baby (like all mammals), and in order to make money selling that milk their babies must be taken away from them. There is no way around this cruelty, not on any commercial scale. But the old Jain idea that getting milk from a cow doesn't require killing them misses this reality. One of the sweet babies I met at a dairy operation. 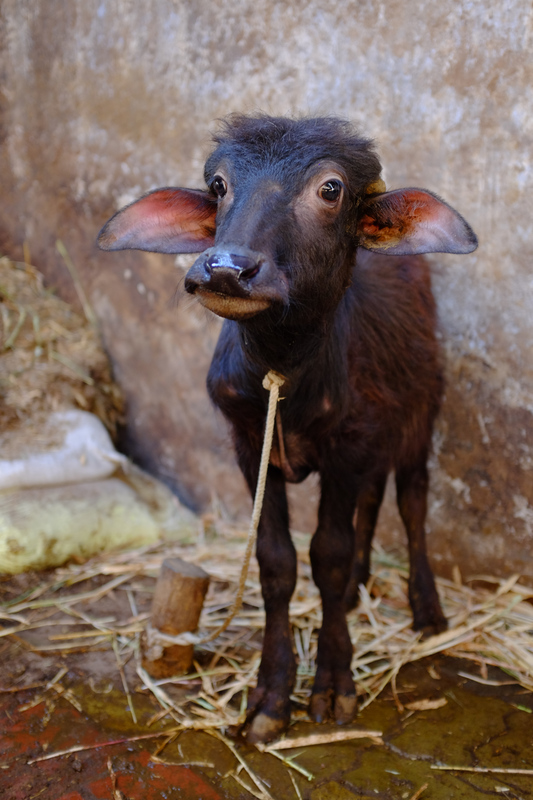 I shared her story in "The Buffalo of Palitana." But it was never about judging people in the first place. To judge people, or get defensive about it, misses the point entirely. The conversation shouldn't be "how can we ensure that poor people can keep their jobs exploiting animals, while producing unhealthy and unsustainable foods?" But rather, "how can we 1) ensure that everyone has adequate nutrition and economic opportunity, while 2) shifting our consumer habits and food systems so as to avoid unnecessary cruelty and ecological catastrophe?" A shift toward plant-based foods is win-win-win, for animals, human health, and the environment. 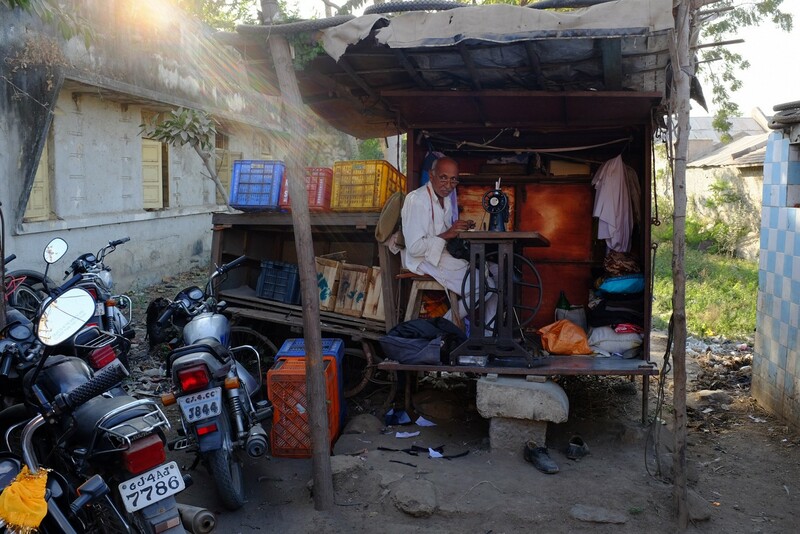 Such a shift requires that people adapt, but like the former meat sellers in Palitana who are now happily running clothing stores and the like, we will all manage. 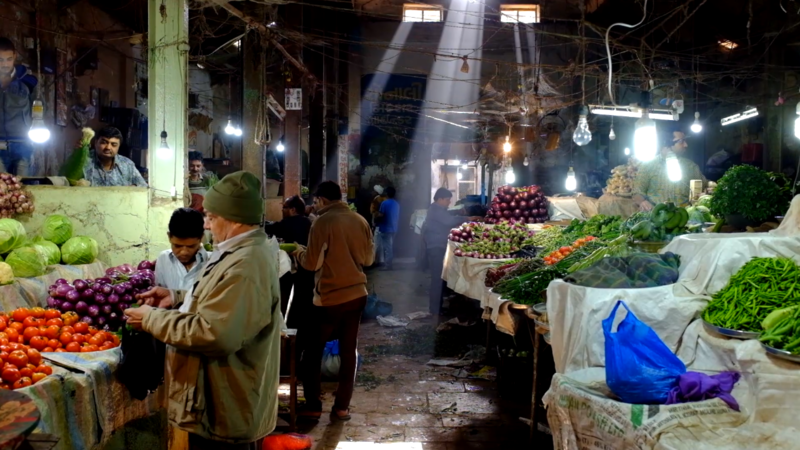 The main indoor market in the city's center, filled with nothing but fruits and veggies.